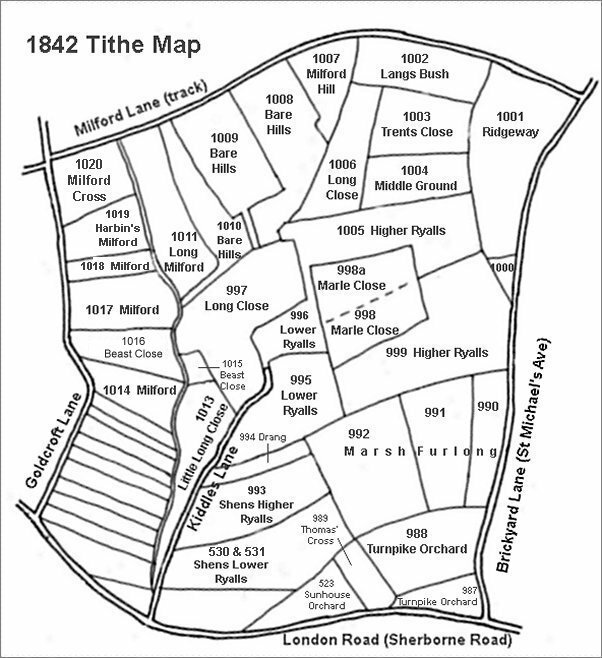 Middle Ground was a field that originally lay within the great Middle Field of Kingston Manor. 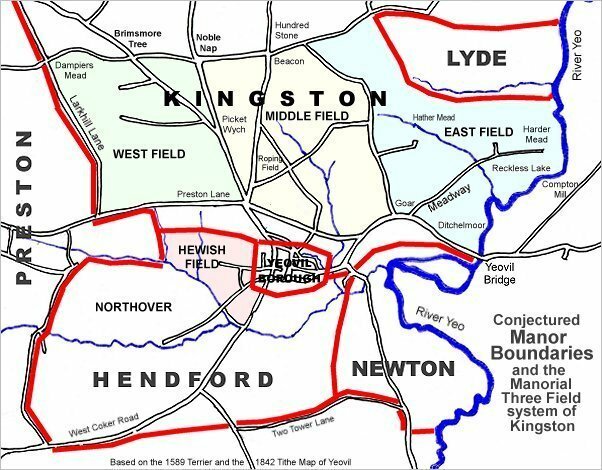 It was bounded on the north by Trent's Close (1003), to the east by Ridgeway (1001), to the south by Higher Ryalls (1005) and to the west by Long Close (1006). 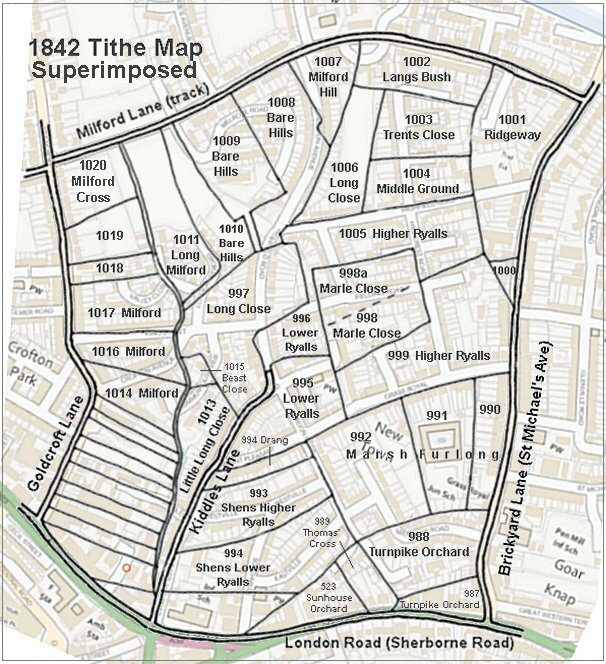 Today, the former Middle Ground is occupied by the houses and gardens of the southern part of Hill Crest Road lying to the north of Highfield Road. Highfield Road was built along the southern boundary of Middle Ground and therefore houses on the northern side of this road lie within the former Middle Ground. The 1946 aerial photograph clearly shows Langs Bush as a rectangular field at top right, to the south of Milford Road (running across the photograph) and bounded by hedges on three sides with the shadows of seven trees in the southern hedge. 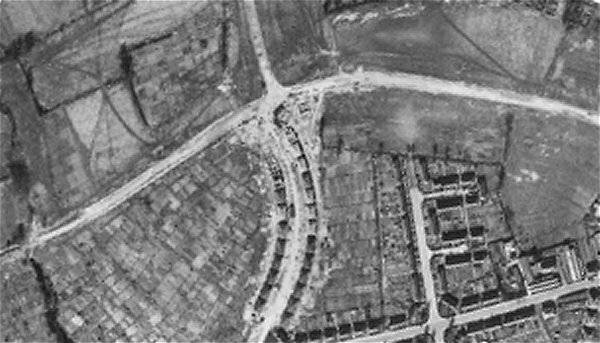 To its south, in the lower right corner, the northern part of Hill Crest Road has been built on Trent's Close and the southern part before Highfield Road has been built on Middle Ground.